“Young Guns”, 2005 by Frances Goodman. Video. Projector, Amplifier, DVD Player, 4 Speakers. 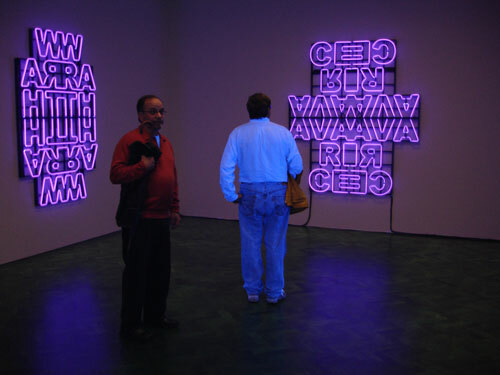 »7 deadly sins«, 2006, neon signs. By Kendell Geers. In the work Industrial Revolution, Gregor Jenkin takes materials and objects from the hardworking back-offices of Johannesburg and reassembles the components to new objects.